INSURANCE AND THE BLOCKCHAIN - The Rough Notes Company Inc.
Until recently, the blockchain and bitcoin were virtually indistinguishable in the press. To most people, the innovative technology and the most popular cryptocurrency application powered by it were one and the same. Now that’s changing. Bitcoin remains the most popular blockchain application to date, but it’s not the only cryptocurrency, and new blockchains are being developed all the time. In fact, nearly 1,000 cryptocurrencies exist, and many were designed to serve a specific purpose. For example, there’s Steem for social networking, IOTA for the Internet of Things, and Dash and Monero for privacy. In addition, blockchains exist outside the cryptocurrency space. There are now private blockchains (for business usage), permissioned blockchains (for sharing with privacy) and consortia blockchains (for industry-wide usage). The rapid development of new blockchains and distributed ledger applications is being felt across many industries, and insurance is no exception. Experts today predict that blockchain technology and other new forms of digitization will impact production and jobs of insurance professionals on a scale similar to that of the Internet over the past few decades. Before delving into how the blockchain is poised to transform insurance, it’s important to understand exactly how the blockchain works and what makes it so disruptive. After a block is confirmed and the data within it is verified through the mining process, the block is time-stamped and added to the pre-existing blocks in the chain. Hence, the blockchain. Each node in the system has a copy. The blockchain is encrypted and considered immutable, meaning that it is protected against tampering and revision. The blockchain is significant in that it allows parties to transact and share information securely. For example, through its underlying blockchain technology, bitcoin reinvented the concept of monetary networks by providing a true peer-to-peer payment system. However, blockchain applications are much larger in scope than bitcoin and its associated transaction protocol. More recent public blockchains, like the blockchain associated with the Ethereum Virtual Machine (EVM), have further extended the blockchain’s disruption by establishing the use of smart contracts—programmable code that can be built and stored in the Ethereum blockchain itself. Many permissioned and consortia blockchains can also use smart contracts. These smart contracts could eventually automate large segments of the business experience, thereby improving processes and lowering costs—a benefit that could then be passed on to consumers. Insurance products, pricing, and distribution may be wildly altered, as blockchain proliferation and its associated smart contracts spawn new products like parametric insurance and insurance implanted in transactional purchases, and realize efficiencies in the insurance process, thereby lowering prices and allowing for broader reach into emerging markets. Industries are beginning to experiment with blockchain and distributed ledger technology. For example, Walmart is using blockchain to track pork and produce, the FDA is using blockchain to securely trade health records, and Disney is setting up its own blockchain, called dragonchain. Indeed, industries, including financial services, have grown increasingly interested in the opportunities the blockchain presents and the promise it holds in addressing some of their business challenges. Capital market spending on blockchain technology is estimated to increase by 59% annually through 2019, according to a January 2017 McKinsey & Company report titled “Blockchain Technology in the Insurance Sector.” Insurance investment also is increasing, which makes sense, as the entire insurance value chain could be altered. The Institutes’ recent white paper, “Blockchain Building Blocks: Creating a world of opportunity for insurance from an evolving area of technology,” highlights applications across the insurance value chain. It also underscores how the blockchain could provide benefits for both insureds and insurers. For example, from an insured’s perspective, industry use of blockchain may enhance the customer experience, improve affordability, provide a means for greater product innovation and allow for faster entry into emerging markets. 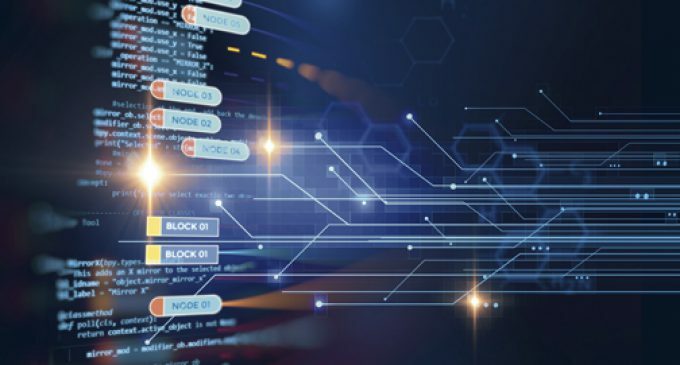 From an insurer’s perspective, use of blockchain may lower costs, ease data retrieval, simplify processes, combat fraud and lower regulatory burdens. With the major benefits identified, the challenge now becomes actually realizing them by building blockchain-related applications. This could be a tall order for insurance organizations, given the number of evident use cases for blockchain technology in insurance. Many of the blockchain applications will affect agents and brokers. In commercial insurance, for example, exchanges of information and transactions often occur in a centralized manner. Much of this activity is documented on paper in great detail—a labor-intensive process. To develop a quote today, brokers may call multiple underwriters or search through various carrier websites. An agreed-upon contract is sent to the market for registration, transformed into a digital format (if not already done), processed (often manually) and stored. Soon thereafter, copies of the contract are sent to the brokers and carriers—and the processing and recordkeeping begin again. Insurers may need to use these records in later stages of the insurance policy life cycle. In fact, the records are generally adjusted and updated through- out the life of the contract, potentially leading to reconciliation issues. There are underlying costs related to this documentation. Documentation difficulties, such as data updates that might not be duplicated in other versions of the same contract, may lead to processing delays. This could, in turn, increase the overall cost of insurance. Moreover, such difficulties can limit growth opportunities by requiring that more and more labor resources are dedicated to administrative tasks. A blockchain can help by providing access to contract documentation via keys. These keys can be shared with the necessary underwriters and brokers, allowing appropriate access to the documentation and updates that are reflected across the board. In this way, a blockchain can help ensure consistency among various parties and dramatically cut administrative costs. The example above is one of many that illustrate how the blockchain can affect agents and brokers. Across all industries, organizations are venturing deeper into blockchain, both on their own and through blockchain consortia. Consortia are using permissioned blockchains and distributed ledger technology to tackle industry issues and set standards around blockchain use. In the insurance industry, this effort is well under way. The Institutes recently established the RiskBlock™ Alliance, a blockchain consortium focused on the risk management and insurance industry. Thus far, more than 35 insurers, brokers and reinsurers have joined RiskBlock working groups, which are aiming to establish blockchain-based proofs-of-concept for first notice of loss, proof of insurance, subrogation and parametric insurance. Make no mistake: The blockchain is coming to the insurance industry, and its predicted impact is growing every day. As insurance organizations begin looking to industry-wide solutions like RiskBlock and also move forward with their own distributed-ledger initiatives, agents and brokers will play key roles as mediators between the fast-changing insurance world and prospective customers. Patrick G. Schmid, Ph.D., is an economist and assistant vice president of Enterprise Research for The Institutes. As head of The Institutes’ Enterprise Research Department, he is responsible for planning and directing all aspects of market, marketing, and mergers and acquisitions research for The Institutes. In addition, he leads teams that develop customer insights and analytical research and has been supporting The Institutes’ blockchain-related efforts.